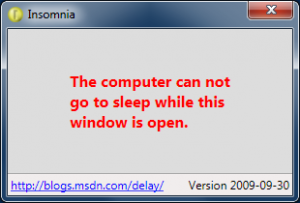 Microsoft has released a program called Insomnia, including source code. Many times when watching a movie, a PC will try and go to sleep, interrupting the movie. Insomnia fixes this issue by making the computer appear “busy” so that it does not go to sleep.